Queenstown is a great place to shop. 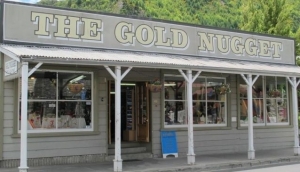 Whether it's a unique souvenir, high street names, exclusive Kiwi labels, or just your everyday basics, Shopping in Queenstown is a browser's delight. Queenstown Shopping offers a wide range of stores. There are several small malls, and plenty of quaint streets to explore. Most attractions have shops attached, and it's worth checking out the museums and art galleries, for some one-of-a-kind gifts. If you're self-catering in Queenstown, there are lots of places to stock up on the essentials including a couple of CBD supermarkets. Art, locally-made crafts, jewellery and clothing, are specialities of the area. In Frankton, near the airport, you'll find the Remarkables Park Shopping Centre, a purpose built retail centre with familiar brand names and plenty of parking. Buses run regularly from the CBD. In the city itself, head for the area around Shotover Street. There's plenty of leisurely shopping to be had, with a few small indoor malls nestling close to plenty of bars and restaurants, for essential refreshment. Try O'Connell's mall if you like all your shopping under one roof. Arrowtown has some great boutique clothing stores.